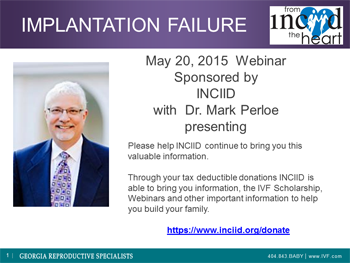 Webinar: Implantation Failure with Mark Perloe, M.D. This webinar was recorded live on May 20, 2015. Dr. Mark Perloe, reproductive endocrinologist presented on implantation and how his clinic analyzes the individual patients thereby increading ongoing pregnancy rates. Watch the webinar and see the new cutting edge testing and find out what works and what doesn't work and what might be in the not-too-distant future. If you find this information helpful, please think about a tax deductible gift to INCIID. 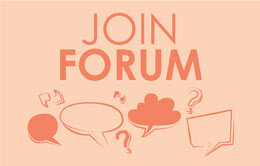 All programs and services are free to the public. We depend on donations and contributions to keep our doors open for consumers.